Batman is one of those iconic superheroes that kids idolize and adults secretly wish they could be. From his secret identity to his crime-fighting ways, Batman is the superhero everyone looks to for saving. Good thing he's pretty good at it. Straight out of the Dark Knight movies comes these officially licensed gloves. Add them to your Batman costume to complete the movie look. They are great as a cosplay look or just for fun messing around with your friends. No Batman costume is complete without a pair of gloves to cover your tracks. You wouldn't want anyone finding out your true identity, would you? Then be sure to use these gloves to cover up your prints! 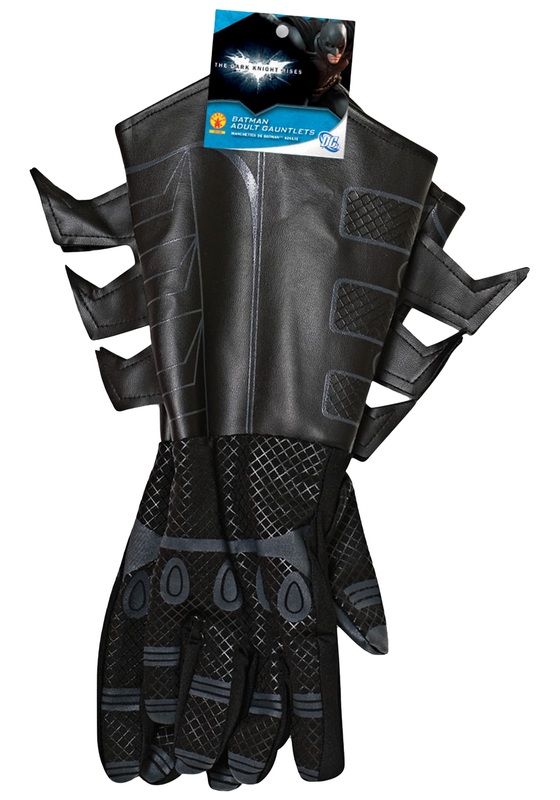 These officially licensed Batman gloves are perfect for Halloween. These gloves are black with grey printed details to match Batman's signature look. The black fabric spikes are sewn to the sides for a look that matches his costume. They are made of 100% synthetic materials and are an affordable way to complete your look.